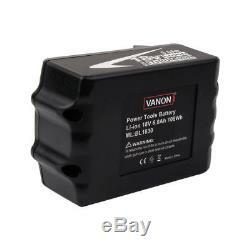 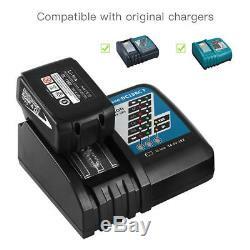 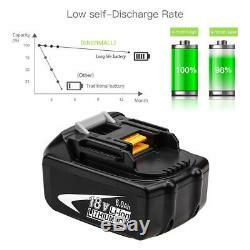 Specification: Battery Type: Li-ion Voltage: 18V Capacity: 6000mAh Color: Black Replace Original Makita Battery Code: For MAKITA 194205-3, 194309-1, BL1815, BL1830, BL1840, LXT400 Fit Original Makita Model: for MAKITA for Makita BDF453SHE, for Makita BDF454Z, for Makita BHP452 for Makita BML184, for Makita BML185, for Makita BST221Z, for Makita BTDW251Z, for Makita ML185, for Makita TD140D, for Makita TW251D for Makita BCS550 Series: BCS550, BCS550Z, for Makita BDA350 Series: BDA350, BDA350Z, for Makita BDF451 Series: BDF451, BDF451Z, for Makita BFR550 Series: BFR550L, BFR550Z, for Makita BFR750 Series: BFR750, BFR750L, BFR750Z, for Makita BFS450 Series: BFS450, BFS450RFE, BFS450Z, for Makita BGA452 Series: BGA452, BGA452Z, for Makita BHP451 Series: BHP451, BHP451SFE, BHP451Z, for Makita BHP453 Series: BHP453, BHP453SHE, for Makita BHP454 Series: BHP454, BHP454Z, for Makita BHR202 Series: BHR202, BHR202RFE, BHR202Z, for Makita BHR240 Series: BHR240, BHR240Z, for Makita BHR241 Series: BHR241, BHR241Z, for Makita BJR181 Series: BJR181, BJR181X, BJR181X1, BJR181Z, for Makita BJR182 Series: BJR182, BJR182X, BJR182Z, for Makita BJS130 Series: BJS130, BJS130Z, for Makita BJV180 Series: BJV180, BJV180Z, for Makita BPB180 Series: BPB180, BPB180Z, for Makita BSS501 Series: BSS501, BSS501Z, for Makita BSS610 Series: BSS610, BSS610SFE, BSS610X2, BSS610Z, for Makita BSS611 Series: BSS611X, BSS611Z, for Makita BTD140 Series: BTD140, BTD140SFE, BTD140Z, for Makita BTD141 Series BTD141, BTD141Z, for Makita BTD144 Series: BTD144, BTD144RFE, BTD144Z, for Makita BTL061 Series: BTL061, BTL061Z, for Makita BTL063 Series: BTL063, BTL063Z, for Makita BTP140 Series: BTP140, BTP140Z, for Makita BTW251 Series: BTW251, BTW251Z, for Makita BTW253 Series: BTW253, BTW253Z, for Makita BTW450 Series: BTW450, BTW450Z, for Makita BDA350 Series: BUB182, BUB182Z, for Makita BVR350 Series: BVR350, BVR350Z, for Makita BVR450 Series: BVR450, BVR450Z, for Makita BVR850 Series: BVR850, BVR850Z, for Makita DF454 Series: DF454D, DF454DRFX, DF454DZ, for Makita HP454 Series: HP454D, HP454DRFX, HP454DZ, for Makita HR202 Series: HR202D, HR202DRFX, HR202DZK, for Makita JR120 Series: JR120D, JR120DRF, JR120DZK, for Makita ML184 Series: ML184(FlashLight), ML184, for Makita MR100 Series: MR100, MR100W, for Makita PB108 Series: PB108D, PB108DRFX, PB108DZ, for Makita TD144 Series: TD144DRFX, TD144DZ, for Makita TD251 Series: TD251DRFX, TD251DZ. 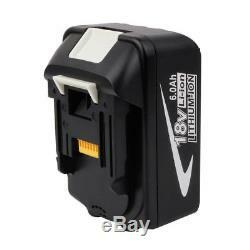 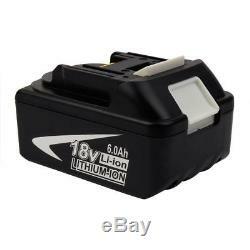 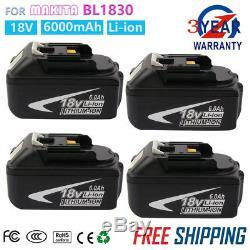 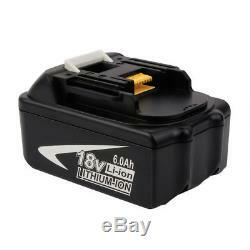 Package Included: 4 X Battery for MAKITA BL1860 BL1830 BL1840 18V 6000mAh Li-ion Black. 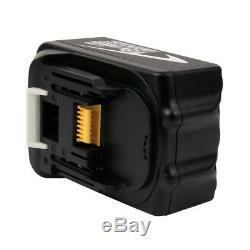 We are not responsible for undeliverable address. 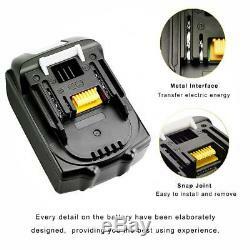 Masione has always devoted itself to providing products with excellent quality for the end-users. 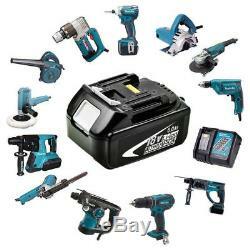 The item "4X For Makita BL1860 BL1830 LXT 18V 6.0Ah Lithium Battery BL1840 Drill US Stock" is in sale since Saturday, October 27, 2018. 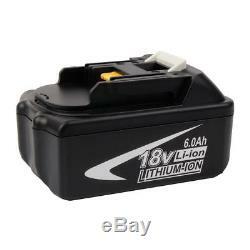 This item is in the category "Home & Garden\Tools & Workshop Equipment\Power Tools\Batteries & Chargers". 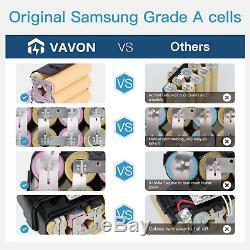 The seller is "xinglong2018" and is located in Plainfield, Illinois.